The dream of making a beautiful and valuable diamond from simple carbon has long captivated the imagination of scientists and visionaries alike. Just like the alchemists of old who sought to turn lead into gold, many have tried to achieve this impressive feat. We have only recently been able to produce gem quality, lab grown diamonds that are large enough to be used in jewelry. But, how is it done? Henri Moissan attempting to make diamonds over 100 years ago. Throughout history, many people have claimed to have successfully synthesized diamonds. However, it was not until relatively recently that a documented and reproducible process was demonstrated. Henri Moissan was one of the early pioneers in the field. 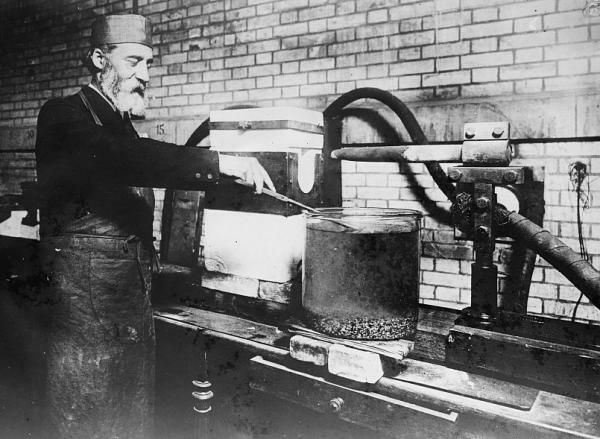 In 1893, he claimed to have successfully made a diamond by heating charcoal to 3,500 degrees Celsius inside a carbon crucible. Many attempts were made to reproduce his techniques with some reported successes, but none could ever be scientifically verified. The quest continued. Diamonds are a crystalline form of carbon, and so making artificial carbon crystal was the problem of lab grown diamonds. For decades, manufacturers of synthetic gemstones tried growing diamonds like they grew rubies, sapphires, and emeralds. It failed. Then they had the idea to grow diamonds in the lab like they grew in nature. How does nature form diamond crystals? Nature does it very deep underground. Diamond growing naturally takes place about 100 miles below the earth’s surface. Why? Because that is where the conditions of extremely high pressure and high temperature needed for diamond formation are naturally found. We see diamonds closer to the surface of the earth when a rare type of deep volcano brings them up to where humans can find and mine them. The first successful synthetic diamonds were made by mimicking nature with High Pressure/High Temperature (HPHT) manufacturing. There are three basic manufacturing processes used to make HPHT diamonds: the belt press, the cubic press, and the split-sphere (BARS) press. The goal of each process is to create an environment of extremely high pressure and temperature where diamond growth can occur. Each process starts with a small diamond seed which is placed in carbon and put under very high pressure and temperature to grow the diamond. The 10.02ct HPHT Diamond Made by NDT. Thanks to IGI for sharing this video. The GE invention of the belt press uses an upper and lower anvil to generate pressure over 1.5 million pounds per square inch and temperature above 2,000 degrees Celsius. In this environment, the pure carbon melts and begins to form into a diamond around the starter seed. On December 16, 1954, a belt press was used to create the first reproducible lab grown diamond. The diamond was tiny and nowhere near clear enough to be used in jewelry, but it was a start. As a side note here, we should mention that even today most of the man-made diamonds that are produced are not of gem quality. They are made for industrial applications where the amazing properties of diamonds (hardness, thermal conductivity, etc.) are used to make better tools and equipment. Since the initial success with the belt press, HPHT technology has been constantly advancing. Belt press designs have been dramatically scaled up, more modern cubic and split-sphere presses have been introduced which are more efficient, and larger, more perfect gems are being produced. As of the time of this writing, the largest gem quality, faceted, lab grown diamond has been produced by NDT using the HPHT method with a cubic press. Weighing in at 10.02 carats, this incredible diamond is graded as E color and VS1 clarity. Chemical Vapor Deposition (CVD) is a more recently developed technique by which diamonds can be grown from a hydrocarbon gas mixture. In the CVD process, a thin slice of diamond seed (often an HPHT produced diamond) is placed in a sealed chamber and heated to around 800 degrees Celsius. The chamber is then filled with a carbon rich gas (usually methane) along with other gases. Then, the gases are ionized into plasma using microwaves, lasers, or other techniques. The ionization breaks the molecular bonds in the gases and the pure carbon adheres to the diamond seed and slowly builds up into a crystal, atom by atom, layer by layer. The CVD process has a few advantages over the HPHT process. High pressures are not needed, and temperatures, while high, do not need to be anywhere near as high as with HPHT. 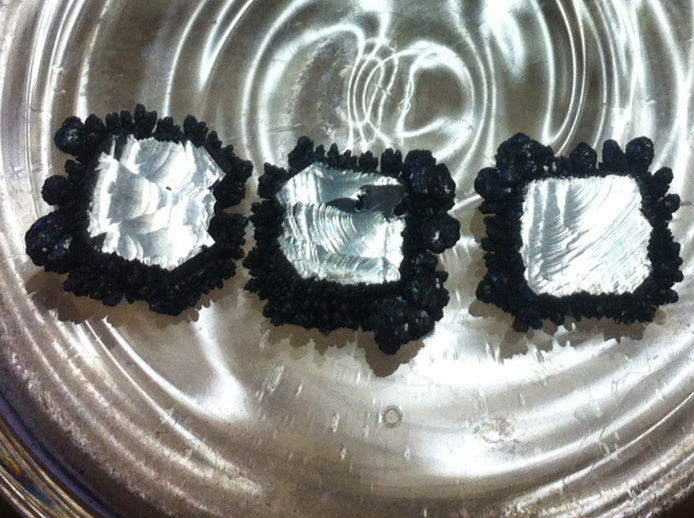 Also, CVD diamonds can be grown over larger areas by starting with a larger diamond seed plate. Finally, the CVD process allows for a finer control over the environment in the growth chamber and thus the properties of the finished diamond. However, even with all of these advantages, the largest known, polished lab grown CVD diamond as of the time of this writing is only 3.23 carats; it was graded as I color and VS2 clarity. Intense research is ongoing around the world into the field of Chemical Vapor Deposition, and every day the technology is improving. Only time will tell if and when CVD diamonds will reach the same size as their HPHT cousins. Both of the major diamond producing processes leave unique properties in their finished products. With CVD diamonds, silicon inclusions are sometimes observed. These are the result of silica windows in the growth chamber being etched off by the ionized gases and introduced into the diamond as it forms. With HPHT diamonds, it is very difficult to create truly colorless gems. This is because even the smallest presence of nitrogen or boron during the process can result in a yellow or blue color respectively. Both HPHT and CVD diamonds tend to exhibit strong and unusual fluorescence characteristics when compared to natural diamonds. This fact, while not generally detrimental to the appearance of the diamonds, is quite useful when identifying them as lab grown. So, Which Kind of Lab Grown Diamond Should I Choose? If you are considering a lab grown diamond, you might be wondering if you should go with an HPHT diamond or a CVD diamond. Both technologies are fascinating, and both have their pros and cons. Fortunately, you don’t really have to worry about how your lab grown diamond was made. As with natural diamonds, the beauty of a lab grown diamond comes from its physical characteristics and not the precise method by which it was formed. 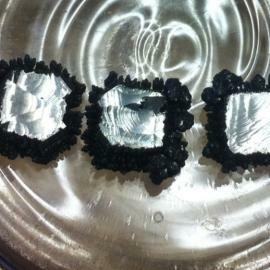 Just like natural diamonds, the 4 Cs are used to grade and price lab grown diamonds. The type of inclusions and the shades of color may be slightly different with each kind of lab grown diamond, but the most important thing is the end result. 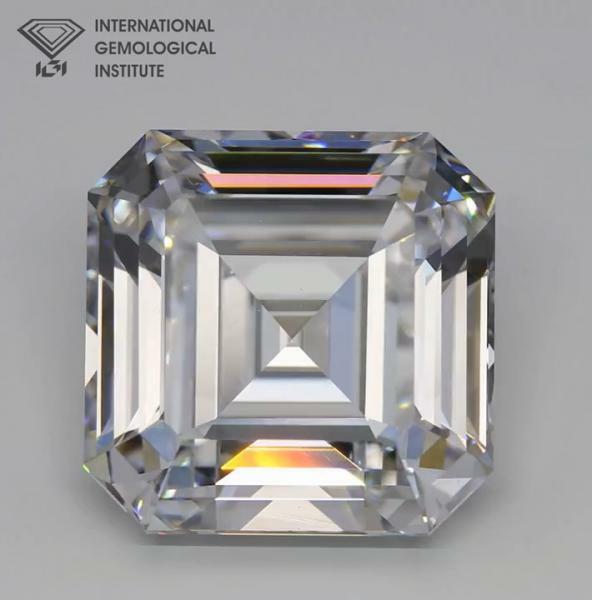 A G color, SI1 clarity CVD diamond will sparkle just as brilliantly as a G color, SI1 HPHT diamond (assuming they were cut to the same proportions of course). That’s where we come in. At Arden Jewelers we require each lab grown diamond supplier to send us a sample of their product before we offer it to the public. Our gemologists use their extensive training and our in-house gem lab to evaluate every aspect of the lab grown diamonds we sell from the color, to the cut proportions, inclusions, and more. So, whether it’s natural, CVD, HPHT, or some new technology in the future, you know that with Arden Jewelers you will get an accurately graded diamond at an amazing price every time. Comments: How Are Lab Grown Diamonds Made? How do they mimic the “High Pressure” of the Earth inside of a lab? Are they using High Pressure Air? High Pressure Water? Or are they pushing it down with steel machinery? Hi Katone, good question. They use specialized presses (steel machinery) to generate enormous pressure on a very small area. We actually have a video in the works that shows one of these presses in action. It’s pretty cool. I have seen moisonnite stones and jewelry and would chose it over a regular diamond every day. Would only purchase perfect diamond for investment purpose. Hi Ruth, thanks for sharing your perspective. Keep in mind though that moissanite is definitely not the same thing as a lab grown diamond. Both are man-made, but lab grown diamonds have all the same properties as natural diamonds (hardness, sparkle, etc.) whereas moissanite does not. If you are interested in buying investment grade diamonds, feel free to contact us anytime.